For people who are looking to earn additional retirement income on the side of their day job or establish an income stream that can eventually replace their salary, managing an Ecommerce site can be a great option. 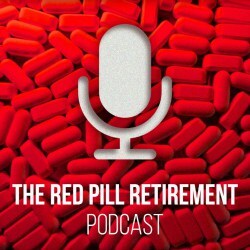 So, in this episode of The Red Pill Retirement Podcast we talk about why Ecommerce is an attractive retirement rehab path, what it takes to get started, and what you can expect in terms of time commitment and earning potential. 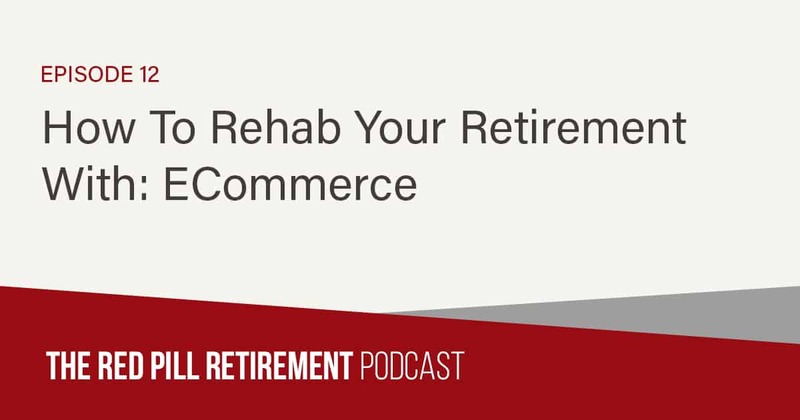 In this episode of the Red Pill Retirement podcast, Ian and I discuss how to rehabilitate your retirement by building or buying an E-commerce store. For people who are looking to earn additional retirement income on the side of their day job, or establishing an income stream that can eventually replace their salary, managing an E-commerce site can be a great option. So, today we’re talking about why E-commerce is an attractive retirement rehab path, what types of E-commerce models exist, whether you should build or buy your first store, what it takes to get started, and what you can expect in terms of time commitment and earning potential. This episode is full of actionable advice, so I recommend that you get something to write with because you’re going to want to take notes. As always, I’ll be back on the other side of the conversation to tie up any loose ends. So without further ado, let’s dive into my conversation with Ian. Everyone, welcome back to the show. My name is James Sowers, and I’m joined as always by Mr. Ian Bond. Ian, how are you doing today? James I couldn’t be better. We’re going to have one of my favorite topics to talk about. We’re going to talk about E-commerce today as a retirement income strategy. So, really looking forward to unpacking this one with you. Yeah, and if somehow you’re just dropping into this particular episode, and you haven’t already subscribed, we have covered two other models. Previously, we talked about coaching and consulting and then we also talked about freelancing. Those will be in the show notes and they’ll also be in the show archives, so you can go back to those if you find this one compelling if you got linked through social media or whatever. But today we are going to be focusing on E-commerce and building an E-commerce site or buying an E-commerce site, running an E-commerce store as a retirement rehab method. And this is actually your preferred method Ian. So is there a point where you can give us your reasoning behind that, why you recommend it above the other two? Sure. So, just to make a comparison, look, I’m doing all three. I wouldn’t say I’m freelancing as much, but I’m doing coaching and consulting, I am doing skills based stuff for other people, so it’s not really freelancing. But I started out with mostly intrigued by E-commerce and I would say that the type of person that E-commerce would appeal to might be like myself, someone who has managed a bunch of people. Might be someone who as a grade school kid had a lemonade stand and figured out they could put their system and their two best friends to work for them and they could get leverage on other people’s time. And so when I looked at it, as opposed to going to the office every day and earning a nice high salary or income, this is something where you can employ technology, although all three of the models employ technology, this one employs technology probably much more intensively, allows you to build a mini empire of people that you manage, and is location independent and scalable because, as I’ve mentioned before, we’re all native online shoppers. It’s semi-intuitive to most of us. And so the skill sets that you need fit career professionals or corporate executives who’ve ever been in any a management role or ever had any people reporting to them. So for me, it ticked those boxes and really it was the one that I could leverage my time best. We are pretty public in having generated over $2 million in revenue off one of our websites last year, and that would be hard to do in two or three years, I guess that was our second full year of running that website, and you’re not going to do that coaching and consulting or freelancing. So, it’s really the leverage on your time that I found to be exciting. Yeah, and to expand on that a little bit, I think maybe one important caveat to put on this is that, at least in my opinion, an E-commerce store is probably the most demanding of the three from a resource perspective, from a skills perspective, but it also has the highest potential. Because, as you mentioned, coaching, consulting and freelancing, they don’t scale all that well. Your time is required to keep that business running. If you’re not actively doing client work, you’re not earning income. Whereas, with an E-commerce store, it runs while you sleep. The scale is pretty much infinite, it’s as high as the market will support. So, I think that’s an important thing to mention here right up front is that, what we talked about for the rest of the show, if this is something you’re thinking about pursuing, it is probably going to be a little bit more of an investment from capital, to time, to energy, you may have to have some staff to support you because I think an E-commerce store is going to demand the most diverse skill set. And managers are going to be great at it, but you can’t be a copywriter, and a website developer, and a logistics manager. One person is very unlikely to be all those things. So you’re either going to need to outsource to help or hire somebody, probably. Yeah. Let me mention one alternative perspective. And I think back to when I was going down this path to begin with. I didn’t have a strong sense as to what skills that I might that I possess that others might find valuable. And I have coached people and mentored people before, but the way to really scale coaching and consulting is through online courses. And I couldn’t really figure out from the get go, what was going to be the magic formula to where I can have a wildly successful online course. It was really pretty simple to take a look at existing websites, see how they were doing, and for me to try to figure out how to scale them through using some of my native skills in managing people. So, that was one of the things that came into my thinking also. Yeah. And it’s going to be a consideration for anybody who’s listening and trying to choose one of these three paths. Maybe you start as a freelancer, and you build up a savings, and then you use that to buy an E-commerce site, and then you transition to being an E-commerce store, that’s one model. Or maybe you just dive right in. Maybe you have the free capital, maybe you have a very stable job, maybe you have a high level of income and you’re comfortable taking on some of that risk for the higher upside on the return side. So, yeah, I think that’s a super interesting point Ian. So yeah, we mentioned in the last episode if people didn’t hear it, that I have a friend who he and his wife have been incredible new business generators. And her skill set really is a very, very high end freelancing skill set. And they now employ several freelancers who have zero interest in doing the marketing and managing the client relations. So you could start out as a freelancer and if you find out that you’re really a great do business person, you actually know the nuts and bolts of what it takes to succeed and who you should hire, so you could scale that. And there are a lot of online businesses for sale that are service related businesses. Yeah, that’s true. You could go into the agency route, you could go into the product type service route. I don’t know that you’ll get there as fast as you could maybe with E-commerce, it just depends because there is a big steep learning curve and then you’re managing a team and that’s not always a great fit for everybody, but it’s certainly an opportunity. Whereas I think if you buy an existing E-commerce site, like we may talk about here in a few minutes, that has revenue already, then you have a head start on that and then your job is just to grow that revenue. So maybe before we get into that though, let’s talk about really quickly the different types of E-commerce models. Like we have job shipping, we have white labeling. What are some of those options, and why do you maybe prefer one over the other or a couple over the rest? So, first of all, let me just start with a caveat. There are a dozen, depending on how you count them, different online business models, but when you think of E-commerce you think specifically of physical goods. And in the physical goods world, the biggest field to play on is what corporations to retailers have been doing from time immemorial, is they sell suppliers goods and they either hold inventory or they don’t hold inventory. Drop shipping, you don’t hold inventory. And in private label or even in non-private label, you could choose to hold inventory. We chose not to hold inventory because of the capital intensive nature of it, but that means that we’re giving up some profit margin. Now, we have white labeled some goods, which gives us the higher profit margin but also requires us to hold inventory. And then the third piece of this is something that’s all just grown up really in the last decade, which is the Amazon FBA world. There are people out there creating products, generally products that sell for 999 to 4999, made in China that people buy on Amazon. And this is the iconic silicone barbecue mitt, or barbecue tong, or something like that. That’s not the world we play in. We play in the world of very high ticket things, where Americans are very, very accustomed to opening their wallets, and if they can find good information, they can get good advice, they can comparison shop, they will buy something that’s $1,000 very easily. … kind of in the 9% to 15% area. When you’re talking about things that dollar price, that’s a lot of dollars profit per transaction. That’s more important than percentage margins. Dollar margins are what you should be looking at. Sure. So maybe to make this a little bit more concrete for the folks listening at home, assuming they’re not super familiar with the e-commerce. If you say, fulfillment by Amazon, that might mean I buy a lot of … 1,000 silicone oven mitts, like you mentioned, from a manufacturer in China. I have them shipped to an Amazon warehouse. Amazon stores them for me and takes on all of that cost because they’re storing all their other products there. I have a store on Amazon.com, where if people buy that mitt, that order is processed by Amazon, and Amazon will send it out from the warehouse directly to the customer. And really all I have to do is manage that supplier relationship and the pricing and the pages on the site and everything like that. So that’s FBA. Drop shipping sounds like it’d be a better fit for the products that you’re mentioning. Let’s assume that if they’re in the $500 or $1,000 and up range, that they’re probably big bulky items around the house, like furniture or something like that. You don’t want to pay for warehouse space to store 5,000 couches, right? So you might drop ship, and have a website that is your own website under your own brand. But when somebody places an order through your website, then that order goes directly to the manufacturer or the supplier of that couch. And that person ships it out directly to the customer. So you all, again, don’t have to worry about managing the inventory. Then finally, if you’re going to do a white labeling or private label, places that I’ve seen that done is in supplements and nutritional things where somebody has like a protein powder or something like that. You basically pay them a fee to put your custom label on it, sell it under your brand. But you might either store that in a warehouse yourself. Or they might solve for you, and you could do drop shipping. But the point is, you’re taking an existing product and putting your name on it, and then selling it to customers under the name. Do I have that described correctly? Yeah. Let me … I’ll add a couple of negatives to each of the examples. So you mentioned that sourcing the goods for FBA. You mentioned that sourcing the goods and managing the supplier relationship is critical. I would say you also have to come up with the product idea. The number of people that fail to come up with a good product idea are far more than the number of people to come up with a good product idea, number one. Number two, if you’re successful, and you also have to worry about having somebody knock you off and how you’re going to defend yourself. So those are the risks in FBA. I think I put out there from the get go, the wrap on drop shipping is the margins are crummy. So the way to counteract that is to go upscale. There’s two strategies that I talk about that people employ. One is becoming a niche authority site. And the other one is using a global outsource, a pool of labor and technology to press your advantage and scale a business. Then, white label is really kind of … it’s a fairly limited opportunity. I look at it as something that’s additive to our business. But it’s tagged to rely on white label, and build a brand off of white label, that’s a fairly challenging. That’s probably lost a lot of momentum in the e-commerce universe over the last two or three years. Yeah. I think there are certainly nuances to each of these models that somebody would find the deeper they get into them, or if they join a community like yours, or take a course or something. Because for example, I can imagine that if you’re going to get into white labeling consumables, like supplements, well, you could run into a whole host of issues there on the manufacturer side if they get the recipe wrong or something and somebody gets sick. I mean that reflects poorly on you, but you had nothing to do with it. They made the product, they sent it, but it has your name on it. So that’s a level of risk that you assume. The same way with some of those durable goods, or those physical goods, if there’s a defect, then that person’s contacting your customer support. But really it was a manufacturer or a shipping issue. So yeah, just things to keep in mind like these businesses aren’t perfect, but the point is there are upsides and downsides to each of the models. You just have to find the one that’s right for you. So maybe, now that we’ve reviewed the different paths somebody can go down, I think the next decision they’ll have to make is, do I build a store from scratch, or do I buy an existing store? Do I try to grow that? I know that you probably have a strong opinion about this given what you’ve done in the past, but I’m curious about your thoughts on each of those models. When I started to go down this route, I was already in my mid 50s. I don’t think that I possess the gene that is maybe the creativity gene. I went through some of the exercises where I brainstormed ideas and stuff. 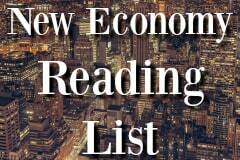 But I also looked at the failure ratios of new businesses. And the failure ratios in a lot of the forums of people that were creating things. I just decided I didn’t have time to be in the 90% of people that fail with their idea. So, much easier for me as a lifelong investor, to look at something, even if it has a limited history. Much easier for me to look at something that does have some history. And say, “I like these aspects of it, and I think I can take it from here.” To create that, I didn’t have the time to do it. And, like I said, I don’t think I have the creative gene. So that was an easy decision for me. It probably took me way too long to get there. But, I would tell you that I’m more convinced today than ever before in my life. There’s just so many opportunities out there to look at, of people that are selling things. Where if you’re actually a student of the e-commerce business, you can almost immediately see opportunity to enhance something that’s for sale. Yeah, I totally agree. I think that if somebody does have that creative gene, if they do enjoy making things from scratch, and they like the challenge of that, then building a store is totally a viable option. You might have to look at it from the perspective of a side project, a passion project, a creative outlet alongside of your job, whatever. You may have to have realistic expectations around that. Yeah. So if you’re a career professional, okay? If you’re a career professional, you are probably short-time and blessed with more money. Let’s say you’re in your even 30s or 40s or 50s or 60s, you’re probably short-time because you’re working a day job. And you probably have some money that you can experiment with. If you are in your 20s, and you have a greater degree of tech savviness, and you are short money and long time, you should try to build something if that’s the trade off. I think it’s almost an age thing. Although, I do know a number of people that have done … that are in their 50s and 50s that have been very successful in FBA. But I think it’s a time versus money thing. If you are one of those 20 somethings, and you’re hearing this, you’re like, “Oh, I’d need to buy a site and grow it.” I would say don’t go into any kind of debt to acquire a site, right? Don’t tap into your credit cards, or take out a loan, or anything like that to buy a site without having some experience. Go apprentice with an existing e-commerce store owner. I think that in my experience, a lot of entrepreneurs, if you reach out to them, and you say, “Hey, I’m motivated. I’m not at a point where I can take action on this now, but can I help you? Can I look over your shoulder and learn from you? Can I do the work? You don’t necessarily have to pay me. But for a short-term, can I help you build your store and my payment, my compensation will be learning the ropes.” Then be a little bit more confident when you have the capital to go ahead and buy that store, and built it on your own. Maybe that’s a better option. 100% agree. Matter of fact, I had someone reach out to me that I know, and actually offer his services to partner with me. Because I knew him and had seen him and observed with him, we started to do some things together. It’s worked out wonderfully well. Same thing with another fellow, who saw what I was doing. He’s in London, and so that market’s not something that I would attack on my own. He’s there, and he can tap into what we do here at the mothership well. Which is a lot of the customer service, and a lot of the infrastructure things. He can do what he does really well. He’s a phenomenal outside salesperson, and incredibly good talking to people. And reasoning with them on how we can potentially enhance them with the brands that they possess. So I think it’s a great point. If you are a younger person, don’t go into debt. It makes no sense to go into debt. You can learn a lot through courses and through forums. You can probably find people, and certainly in my circle of people that I deal with, you can find people that you can add value to and learn a lot, and not have that financial commitment. But one of the biggest mistakes I see when people buy stores is that they don’t reserve enough money for the ultimate build-out to attain that niche authority status that I like to talk about. You can hit a dry patch, and it can be a long period of time. If you don’t have that financial wherewithal, you’re basically going to be out of the game before it’s over. Yep, totally agree. You know what? The more we talked about this, the more I started to think that this isn’t necessarily a point for the young folks either. We don’t want anybody in their 50s or 60s taking out a home ec line for $30,000, $40,000 to go buy an e-commerce store. I mean, the likelihood of that going to absolute zero is fairly low compared to some other investment vehicles. But still, that’s not a level of risk I think that anybody wants to be taking on. Especially if you are looking for a retirement rehab option in the first place, the last thing you want to do is take on a large amount of additional debt to make that happen. … results in a previous episode where most people, the difference between where they’re at right now, where they need to be for retirement, is about $1,000 to $4,000 per month. Well, if you can cover that for a few months through freelancing and consulting and put that aside in a little bit of a savings account, then, pretty quickly, you get to that $20, $30, $40,000 range where you’re ready to acquire your first eCommerce site, and during that six months, you can learn a lot from some of these folks we’re talking about, and you’ll be better equipped to take action on the eCommerce model when you’re ready financially. I mentioned it before, but one of the most frequent questions I get asked is, “When will I know that I’m ready to buy my first site? When will i know?” It’s kind of like the old Warren Buffet saying, that, “It’s like playing baseball with an unlimited number of pitches to look at.” You don’t have to take a swing. You can literally stand there and watch pitch after pitch come by until you get comfortable. I think I can help people get there, and I think, sometimes, I was certainly guilty of this, I over-analyzed things and I needed a kick in the back side, and sometimes I think people do need a kick in the back side, but if you’re playing in your own head, you don’t have to … There’s nothing … There’s no gun to your head that you have to do something right away. You can continue to observe things, and you’ll know when it’s right. I think one of the huge takeaways is get comfortable and don’t go into debt. Don’t make some of the mistakes that we can easily point to that other people make. Totally agree. Maybe because of the time we have available today, we can’t give you the full game plan for going from full stop to running a successful eCommerce store. 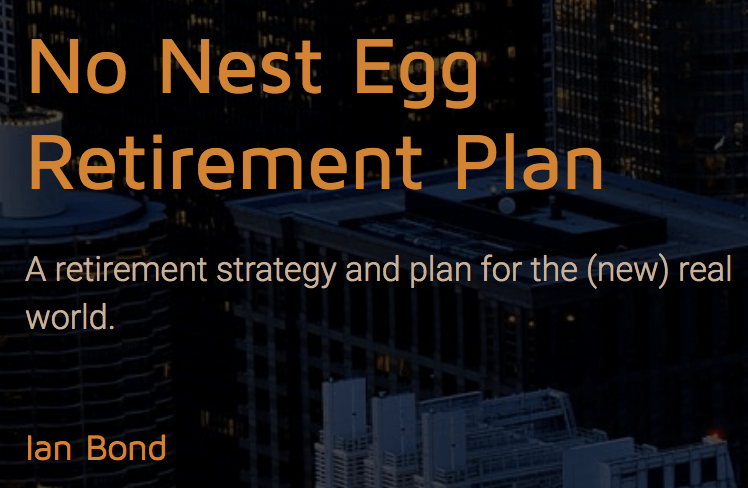 That just can’t be done in any amount of time that we would do in a podcast episode, but what we can say maybe is the first step down this road is to check out the No Nest Egg Retirement Plan, the No Nest Egg Retirement Community, and the My Retirement Rehab Facebook page. 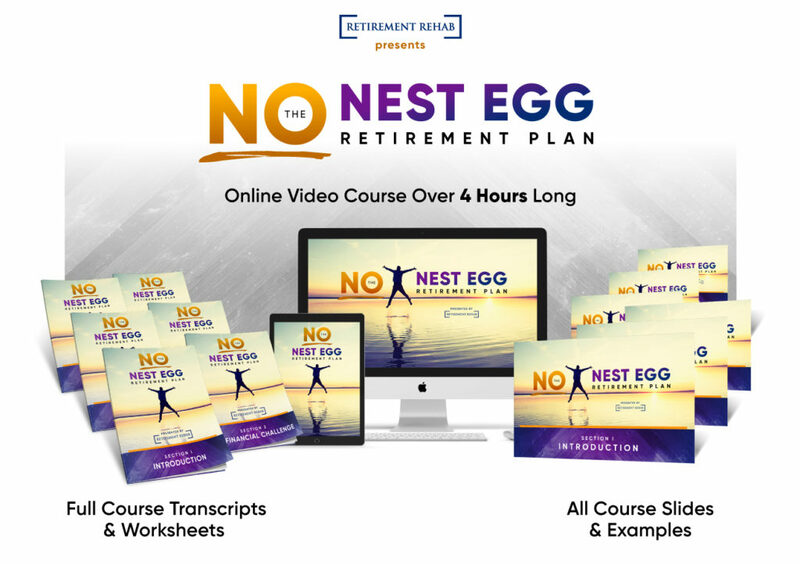 Those are two resources and places where you can go to learn a lot of what you’re going to need to know to take the first step in here, and all that information has been documented on the Retirement Rehab website and the Facebook group. Maybe, Ian, you have a few other pieces of advice or resources to share before we sign off? I think we have 130 or 130 pieces of content on the website. I think a lot of it covers from almost every angle that we could think of, these kinds of questions for folks. Certainly within the community, the dialog is incredibly active, and there are people that are lurking and listening, and there are other people that are taking the first step, and there are other people that are steps ahead of everybody else that everyone’s watching. Some of my favorite contributions are people that have actually decided that they’re going to go forward, they’re going to hold themselves accountable, and they’ve established what I call accountability threads. They are documenting what they’re committed to doing and then updating everyone every so often that they actually accomplished 1-10, and they failed on 11-14, but they’re on top of that. It’s very exciting to see happen. If you’re not ready to build or buy that site today, I think from an educational standpoint, we’re saying, “Go to the website.” When we say that, we mean myretirementrehab.me, and that’s where all of the articles that Ian just mentioned are available. You can search through there, find all the information that you need, and when you’re ready to engage in that back and forth discussion, when you’re ready to float some ideas, when you’re ready to find that coach or mentor who can be your guide through the eCommerce journey, that’s where you go to the My Retirement Rehab Facebook group, you start interacting with folks there and consider maybe the No Nest Egg Retirement Plan, and there’s community inside of that, as well. That is a paid resource. That’s something to consider, but that’s a much more higher touch, higher engagement community that can help you take the first step down this path, I would say. Absolutely. Look, I think it’s a very exciting topic. We’re out there saying a lot of great things about eCommerce. It certainly isn’t for everyone, but I do think that for some people, it does play to their skillset, and I think there are ways to limit risk. As you mentioned, the upside is really remarkable if you get it right. You can have some strikeouts and still do incredibly well because if you get one right, it pays for a lot of things that flame out and go to zero, to be honest. It certainly merits consideration and research on the part of the listeners. Of course, we are going to be diving deeper into this topic, I’m sure, in future episodes because there is a lot to cover. We just can’t cover it all today. Unfortunately, we’re going to have to sign off there, Ian, but we look forward to having you back around for the next round of insights, and we’ll see everyone on the next episode. Take care. Thanks, James. As always, it’s a pleasure. All right, folks. There you have it. 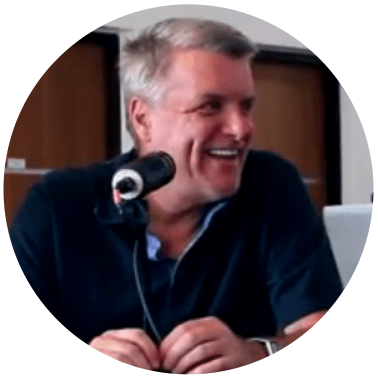 That wraps up my conversation with Ian about how managing an eCommerce site can be an attractive retirement rehab option for certain types of professionals. Before I let you go, let’s quickly recap what we talked about today. First, we talked about why eCommerce is an attractive retirement rehab path to choose. It’s intuitive. Most of us do some shopping online, so we understand the process both from the perspective of the customer and the store. It has uncapped earning potential. It’s not directly tied to your time, so it can earn money even while you sleep. It’s location-independent, so you can do your work from anywhere in the world, and you basically get out what you put in. The successful outcome is determined by the amount of energy that you are willing to put in, and your revenue and your income go with that. The second topic we covered was the various types of eCommerce models that exist. We talked about fulfillment by Amazon, drop shipping, and white labeling or private labeling products, and the merits and flaws of each one so that you can decide which model might be most attractive for you. We also talked about whether you should build or buy your first store, and we said that you should build your first store if you have limited capital, but you have an excess of time and you have some technical skills that you think that you can actually start a website from scratch and grow it that way. We said that you should buy your first site if you have more capital than time. If you’re working a day job, you have a nice salary coming in, but you don’t necessarily have a whole lot of time, you’re working nights and weekends, and you have limited creativity or technical skills to get the job done, then maybe you’re a better candidate for buying your first site instead of building it. The next topic we covered was how you can get started and what it takes. We said that you should do your research and set aside some acquisition and working capital, so not just enough to buy the site, but also enough to run the site for a few months until you start to grow that revenue and pay yourself back, and then take the plunge when you’re ready, but if you don’t have that capital, we recommended that you go out and you find an eCommerce mentor or a coach that you can learn from. We talked about some communities where you can go to seek those folks out, but, basically, you want to position yourself as an apprentice to sit there and look over the shoulder of this person and learn from them, and then when you have the capital saved up, you’ll be ready with the knowledge, skills, and the resources to go ahead and dive in. Finally, we talked about what you can expect to earn and what you’ll have to sacrifice in exchange for those earnings. We said that the earnings are essentially unlimited. eCommerce scales as large as the market that you’re playing in, and if the total addressable market is millions or even billions of dollars, then, theoretically, you have no cap on your earning potential if you can claim a sizable chunk of that market. We also talked about how this is slightly more scalable than other options because the store can grow as large as you like. There are millions and millions of customers out there, and it’s not tied to your time, so you don’t have to directly be putting in time in order to earn income. Your site can continue to make sales while you’re sleeping, while you’re on vacation, and things like that. That doesn’t mean that you don’t have to work on it, but it means that you are not limited to earning X amount of dollars per hour. You put your hours in, and the dollar earning potential is based on the market, the positioning of your product, the value of your product, and whether or not it resonates with customers. Finally, we talked about how the outcomes are still very much a product of the time and the energy that you put in. It’s not an overnight success. It’s not a shortcut. You do have to invest a lot of emotional and physical energy into getting this store off the ground and growing it, but once you do, it can be a runaway train that can continue to generate revenue indefinitely for the rest of your life or the rest of the time that you own that store. That pretty much sums up why building or buying an eCommerce store is an excellent option for someone who’s looking to establish an additional income stream or as a way to catch up or accelerate their retirement savings. As we always do, we’ll link up any tools or resources that we discussed in the show notes, and those will be available at redpillretirement.com. I hope you enjoyed my conversation with Ian and that you’ll consider subscribing, sharing with a friend, or leaving us a review on your favorite podcast directory if you haven’t already. Until next time, best of luck in all that you do, and we’ll look forward to seeing you on the next episode of The Red Pill Retirement Podcast. Starting a Profitable Website – Build or Buy?